Reading have completed the signing of former Everton striker Yakubu, the club have confirmed. The Nigerian striker, who most recently turned out for Qatari side Al Rayyan, has signed a deal until the end of the season with the Championship club, who are currently 16th in the league. The 32-year-old will wear the number 20 shirt at the Madejski Stadium and manager Steve Clarke has hailed the signing. 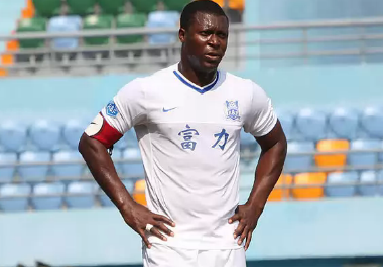 “An experienced goalscorer, Yakubu brings a fantastic scoring record to this club and his addition will complement the strikers we’ve already got at Reading and help us to improve as a team in latter stages of the season," he told the club's official website. Yakubu could make his Reading debut against Wolves this weekend.